According to the UN’s convention on the rights of the child, all children have the right to good quality education. As educators it is our responsibility to prioritise this in primary ELT. In this plenary we’ll take a critical look at the materials we create for our classes and consider ways we can ensure their excellence. Primary children deserve no less. Katherine Bilsborough is a freelance ELT author and teacher trainer. She has written course books for many of the top ELT Publishers as well as online courses and mobile learning materials for the BBC and the British Council. She writes monthly lesson plans for www.teachingenglish.org.uk and is the author of ‘How to write primary materials’, published by ELT Teacher 2 Writer. Her current areas of interest include principles for ELT writers and quality in materials writing. This presentation will look at some of the innovative new content on the British Council’s LearnEnglish Teens website, including YouTubers and a new Graded listening section. We’ll also look at how teenagers are using our online learning communities – the website, our Facebook page and our YouTube channel – to practise and engage with English outside the classroom. Throughout, we’ll consider the importance of encouraging online safety and digital well-being. Jo Budden is the editor of the British Council’s LearnEnglish Teens website, which provides self-access learning materials for teenagers. She’s the author of Teen World (a photocopiable book of communicative activities) and co-author of Interactive, a four-level course book for secondary, both published by Cambridge University Press. A Teacher’s Challenge: Teachers aim to enrich their knowledge of electronic resources, apply innovative teaching strategies to abide by inclusive-education practices, prepare students for exams and are updated constantly on Learning Difficulties and Behavioural Emotional Difficulties. They differentiate their teaching style between the different ages, are controlled and patient and project an unlimited positive regard for all children and teenagers. Challenging as it may seem, in doing that, they do not lose their human touch. Eleni Livaniou is an Educational Psychologist with a Ph.D. in Educational Psychology (Sussex University), with a Master’s degree in Psychology (Sussex University) and a Bachelor’s Honours Degree in Education (Brighton University). She has lived and worked in England for almost 30 years. Until 2002, she was in the research team CASCADE for ADHD with the department of Cognitive Psychology at Sussex University. A critical look at the last 10-15 years of digital developments and how they have been appropriated in the teaching and learning of English for children and teens. The talk will be framed using Activity Theory and will examine the notion of affordance in relation to technology and ELT. It will conclude with a look at emerging technologies and what we can expect to see in the near future. Mark Osborne has worked as a teacher, examiner, teacher trainer, trainer trainer and materials developer. His interests include the use of digital technologies, vocabulary development and teacher education. Currently, he is Graduate Program Coordinator on the blended MA in TESOL at Deree – The American College of Greece. In 2012, he jointly received a British Council award for digital innovation. This presentation will focus on Very Young Learners, their characteristics, how they learn, and will then briefly examine the implications for the EFL teacher as well as present, among other things, a few effective strategies and a number of activities that can enrich the VYLs’ curriculum. With smiling eyes, false promises and lies, human traffickers will do what is needed during the recruitment process. It's just business and vulnerable youth are their target. The session will focus on purposeful, creative lesson plans against human trafficking and modern slavery. The teaching material is designed for B1/B2 teenage learners. Judy Boyle is a teacher, teacher trainer and ELT author. She is also the Founder of The NO Project, an award-winning anti-trafficking educational campaign. Twice exceptional children (2es) may sound like another "catchy" new term, still we should start familiarizing with children with Dyslexia or a Learning Difficulty, who show characteristics of Highly Able Learners at the same time. The presentation will shed light on the issue, informing teachers on how to identify and support them so as to thrive in class. ​Panayiotis Constantinides is an English teacher, a teacher trainer, dyslexia and Learning Difficulties evaluator. This workshop aims to raise awareness of how teacher beliefs influence lesson planning. Specifically, audience members will practise identifying teacher beliefs, find evidence in lesson plans where teacher beliefs are influencing pedagogical decisions, and determine whether these beliefs are congruent with YLT research. Shay Coyne is the IATEFL YLTSIG Social Media Coordinator. She holds a BA in Psychology, the Trinity CertTESOL, and an MA in Applied Linguistics. Teaching English to young learners is always a demanding and challenging task. They are more enthusiastic and lively compared to adults or adolescents. Yet, they lose interest more quickly and are less able to keep themselves motivated on tasks they find difficult. Thus, twenty pieces of advice on how to teach them may prove useful. Jake Delatolas-Saveris B.A. in English Lang. & Lit. (UoA) M.Ed. (Dist.) in TESOL (HOU). Teacher at Pierce – The American College of Greece, oral examiner Cambridge. Through this presentation, I will share ideas on the different ways a teacher can use songs and music in the classroom either to liven up listening activities or, on the other hand, calm things down; to teach grammar and vocabulary in an entertaining and relaxing way; to practice pronunciation, plus to inspire various interesting topics for discussion. When it comes to teaching and learning, one tool is of utmost importance: the brain. Do we know how it works and how it can be used for optimal results? In this experiential workshop you will attend a sample lesson of what it feels like to be able to harness the power of the brain and you will discuss the learning opportunities that derive from it. 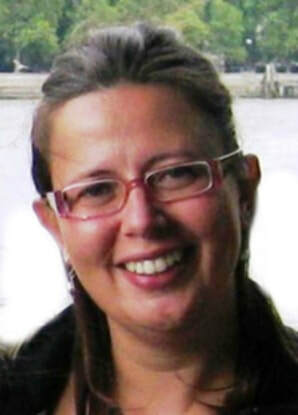 Dina Dobrou is an EFL teacher with over 20 years’ experience both in Greece and the UK. She currently works for the British Council in Athens. Gamification is an innovative, effective way to motivate students. The use of game-like elements sets new standards in learning, rewards learners and helps them become more confident through achievements and recognition. Jenny Dooley (M.Ed. )is an EFL Author & Teacher Trainer. She is the President of Express Publishing and Director of Studies of the Express Publishing piloting schools. When Young Learners think critically and get used to systematically applying their thinking skills, they will go through positive learning experiences, use the language creatively and communicatively, and they will gradually learn to enjoy more challenging tasks. As a result, their self-confidence will grow. Eman EL Difrawy has been teaching for ten years and holds an advanced TEFL certificate. This presentation will talk about the effectiveness of multisensory approach to dyslexic EFL learners compared to traditional approach. It will give examples of the difficulties that dyslexic EFL learners encounter when they are taught the English language, and then show, how they can learn through multisensory activities. Konstantina Gkioni has studied English Language and Literature and teaches English to young learners with Dyslexia. This innovative and creative project gave a real purpose and meaning to learning a foreign language and helped the students experience education in a different country, through European citizenship, Arts and Crafts and a new tool: twinspace! Our Puppet-Ambassadors made Europe a more real concept for our students. Aphrodite Gkiouri has been an English teacher in a Greek State Primary School for many years, and she is interested in blogging. The active infusion of value building in the ESL curriculum provides multiple benefits, especially for young learners. This presentation provides an account of teachers' personal experiences based on activities with various levels. By expanding the horizons of English teaching and explicitly teaching values, students were inculcated into an awareness of the other. Eugenia Iskos, (B.A English, B.S Biological Sciences, M.Ed) is an English and Stem teacher at Anatolia Elementary School. This workshop aims at presenting and practicing techniques and methodology of using Shadow Theater while teaching EFL to young learners. The participants will get acquainted with various materials and equipment that can be used and gain experience of directing and performing a short play. Tatjana Jurisic has been a passionate teacher since 2005, dedicated to developing materials, techniques and approaches to teaching young learners. Gamification seems to be the next buzz word in ELT. Based on the assumption that children love e-games, teachers have for years tried to exploit this "love" to teach English. Let's try and see how much of this is possible and whether we can trust games to do the work of planting knowledge in the minds of young learners. Eftichis Kantarakis is a Teacher Trainer, RSA Dip. The aim of this presentation is to inform about the use of animated videos to inspire not just writing but creative writing in the EFL Classroom. Aikaterini Karounou has been awarded a BA in English Language and Literature from the University of Athens and has been working on her MA in TESOL and Delta. The power of storytelling lies in its holistic nature. A successfully implemented session extends beyond vocabulary and grammar. It develops learners at various levels: physical, creative, mental; it engages them emotionally and personally, and teaches them values. There are no tests, therefore no winners and losers; everybody takes something away. Margarita Kosior is an educator, teacher trainer, conference presenter, materials author, storyteller, amateur photographer and dancer but overall, a passionate human. Play is the most natural teaching tool, aiming to help young pupils prepare for adult life. By integrating games into our classrooms we increase students’ motivation, activate their bodies and develop their social skills. Structured play in the classroom ensures that learning happens. Katerina Mantadaki, O.TR., has worked as a Teacher & Teacher Trainer. Currently, she holds the position of Teacher Trainer at Express Publishing. What if tenses came to life? What if they had personalities just like humans? In this hands-on workshop you will create your own tense characters and see how they can effectively be used in various contexts and foster creativity, cooperation and learning in the language classroom. Sofia Melissourgou studied English Language & Literature in Athens, she holds a CELTA, a Postgraduate Certificate (Open University UK); Iasmos Drama School. A talk about surviving in this digital era, which introduces examples of projects integrating critical thinking, problem solving, ICT application, teamwork and innovation in the EFL curriculum in a fun and creative way for our young learners, while keeping the paperless principles with minimal TTT and adaptable to every syllabus. Fani Miniadou has been an EFL Teacher at Vezergiannidou Language School, Thessaloniki and an EFL Teacher at Concorde International Language Schools, UK. More than you might think! Bringing fine art into the classroom can tap into a child’s creativity and allow a teacher to raise awareness about current affairs. Art can be a springboard to facilitate the acquisition of life skills in order to participate in tomorrow’s global society. Anna-Fiona Monnas, BA psychology, Med, DELTA, TYLEC EFL teacher for 25 years, teacher trainer, oral examiner and items writer. Currently working at the British Council, Athens. This talk will provide participants with exquisite, simple language patterns based on NLP, explain why and how they work with examples from a teaching context and show them how to make a difference in their teaching and communication skills, indirectly influence and guide learners and become highly effective educators. 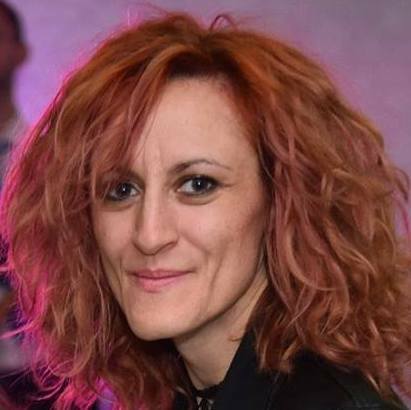 Ioanna Ntaidou is a teacher, teacher educator, presenter, examiner and founder of the “Learning Gamification System”. This presentation includes a real lesson where the presenter will suggest, with the presence of her students many methods, materials, stories, drama, games, songs, crafts, creative hands-on activities on how to teach English in a funny way. In addition, videos and pictures of a real class will be presented and explained. Marina Pantazi is a teacher of English; she has studied English Language and Literature and specializes in teaching preschoolers through playing. The workshop aims at presenting techniques from play therapy, drama therapy and psychodrama that boost students cognitive skills and serve as catalysts to behavioural problems. We will explore the benefits of art in enhancing empathy, acceptance of self/others, development of problem solving skills, emotional regulation. Dr Theodora Papadopoulou holds a PhD in Psychology, MSc in Speech and Language Pathology and MA in Neurolinguistics. She has her own practice. Teachers all around the world are trying to find new technologies for teaching the millennial generation. One of them is gamification. If computer games are so appealing and fun to play, why don't we bring a game-design approach to our English class? Elena Peresada is a teacher, a teacher trainer, materials writer, head of a language school, author of StudyCraft methodology and leader of Trendy English Community. The workshop will present ways of self-assessment and peer assessment of authentic and performance-based activities for YL which will minimize student-related unrealibility and maximize test validity (as in bringing test format closer to students) and thus help them become aware of features necessary for successful passing Cambridge YLE Starters Exam. Lora Petronić Petrović MA, Singidunum University teacher and a PhD student. Main fields of interest are young learners and assessment. Ivana Damnjanović MA in English, PhD in Tourism. English and tourism teacher at Singidunum University. Main interests: education and tourism. A useful workshop aiming to emphasize on the reason why teaching through emotional intelligence is more successful and what makes the teaching experience inspiring and unforgettable. The participants will discover that emotional connection with the teacher and emotional involvement with their subject can be more powerful than the memorization of grammatical rules and vocabulary learning when they learn a foreign language. Mandy Pistikou is a passionate,experienced tutor, mostly interested in Young Learners and Children with Learning or Emotional Difficulties. Are you interested in engaging your learners in hands-on classroom games and activities instead of implementing passive tasks like worksheets? Here’s your chance! This workshop aims to provide practical tips to help you create your own games which foster your learners’ needs and boost their cognitive, emotional and social development. 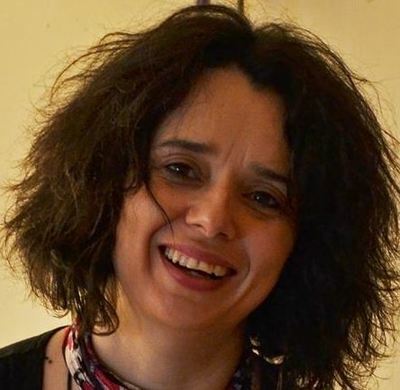 Georgia Stavroulaki is an English Teacher and a Graduate of National and Kapodistrian University of Athens, Faculty of English Language and Literature. The aim of this presentation is to examine how EFL teachers can help teenagers develop critical thinking through the use of literary texts. Reflections on personal experience, working with a group of refugee young learners in a reception school in Thessaloniki, Greece, through the prism of educative principles and teaching techniques will be part of this session. Discover the amazing collection of Google Arts and Culture and learn how to use it to inspire young learners. Dimitris Tzouris is a Learning Technologist at Anatolia College. With a profusion of web-resources in the form of video literally just a click away,we can enrich our lessons taking advantage of a range of activities never before imagined. This workshop goes a step further because it shows us how to create and share these activities in a technologically captivating way. Alexandros Vouyouklis is an EFL teacher, school owner, author and multimedia designer who uses technology to change his students’ perception of learning. In this workshop, we are going to look at some ways of turning a lesson into a fun and effective experience for everyone involved. Anna Zapart is an ADOS and VYL and YL Coordinator at BKC IH in Moscow, Russia.